I spotted this issue of Better Homes and Garden: Breakfast and Brunch when I was Christmas shopping and had to pick it up. 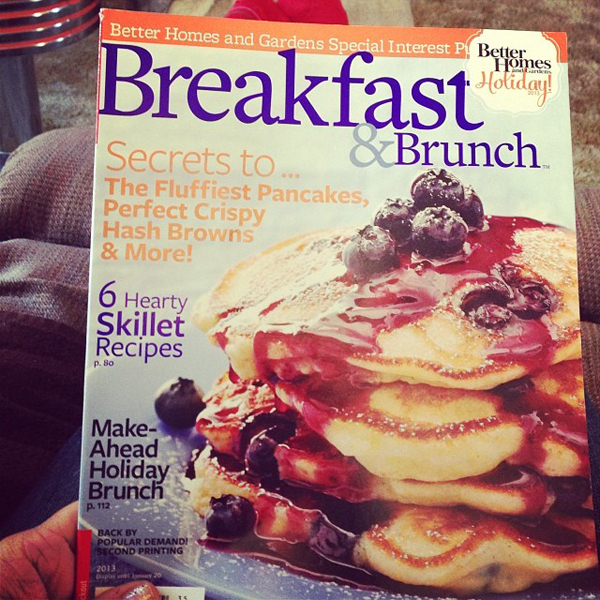 An entire magazine about breakfast food! Brilliant! I was reading it in PA over the holidays when I mentioned out loud there were breakfast cookies. Both my dad and Aaron started hinting pretty heavily that a batch of those would be most appreciated. I love the idea of breakfast foods that A. you can make a big batch of for the week and B. you can grab and take with you. So I was more than happy to bake a batch of these breakfast cookies. They turned out great. They aren't as sweet as a typical cookie but very satisfying for breakfast. 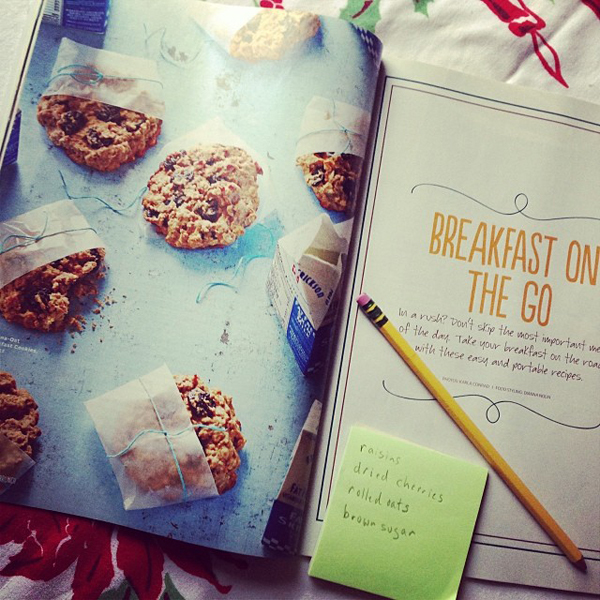 Here is the BHG online recipe for Banana Oat Breakfast Cookies. Note that I didn't have any dried cherries on hand so I actually used chopped up marachino cherries. I didn't hear anyone complain. 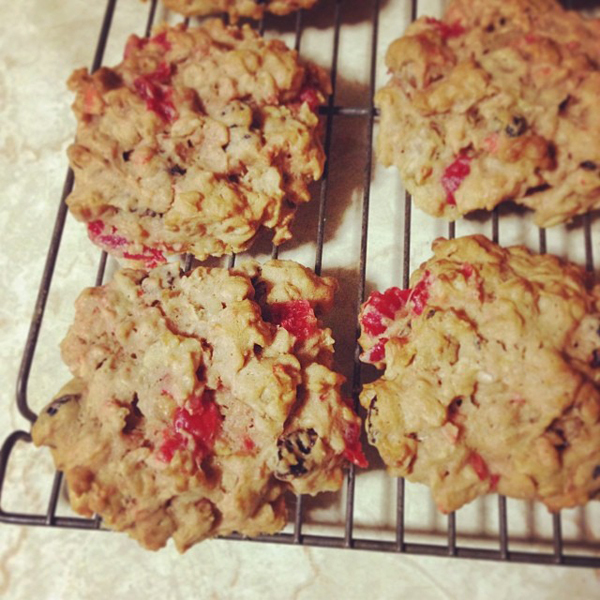 I would like to make these Double Oat Breakfast Cookies next!